It’s the football event that defines us Canadians. Grey Cup Sunday is back. This year marks the 106th contesting of the Cup. Again it’s East vs. West. Like 2016, it’s Calgary vs. Ottawa. One thing about Edmonton is that they really love their football. It was announced back in February that they’d make Grey Cup festivities twice as big as they were in 2010: the last time Edmonton hosted. The five-day festival which started on Wednesday is to include things like a ZipLine, an artificial hill and a multitude of musical acts and theme parties. Since the Grey Cup would be taking place around the annual Santa’s Parade Of Lights, the event would be combined into one parade. For entertainment, The Reklaws will perform prior to the game as part of the Sirius XM Canada KickOff Show. The half-time show will be performed by Alessia Cara. As I mentioned earlier, this is going to be a 2016 rematch of the Calgary Stampeders vs. the Ottawa RedBlacks. The Stampeders are the heavy favorites again, but there are no guarantees in sports. The RedBlacks could win their second Grey Cup in only their fifth year of existence. The Calgary Stampeders not only lead the Western division but the whole CFL too. They come as the heavy favorites for this year. But this is a constant repeat. This is the third year in a row the Stampeders have topped the CFL in Regular play and won the West Final. The thing is they lost the Grey Cup both times as the heavy favorite. In no way will they want this to be their third loss of the Cup in a row. Going over their regular season, Calgary has had thirteen wins and five losses. All of their losses were from teams in the West. In the West Final, they won beating Winnipeg 22-14. They had just lost to Winnipeg three weeks earlier in regular season. That alone can send the message that Calgary can overcome a lot. Calgary has the best defense in the league and they will present a challenge when put to the test. However Ottawa does have a tough offence, which I will touch on later. That could be the one thing standing in the way of Calgary avoiding a three-peat of Grey Cup losses. Not to mention weather could be a factor. I still remember last year’s Grey Cup and how it snowed heavily. The snowy slippery field was too much for Calgary that day. The East teams don’t have as jam-packed the combined talent the West does. However the Ottawa RedBlacks turned out to be the only team from the East this year to have more wins than losses in regular season. Their record of 11 wins and 7 losses would have them ranking third in the West. However don’t let sabermetrics fool you. They did beat the Eskimoes, the RoughRiders, the Lions and the Bombers in at least one game. The only loss to an East team was to a game against the Argonauts back in August. The RedBlacks lost both their games against the Stampeders in the regular season, but both games were in June and July. The RedBlacks are a different team now. Calgary may have the best defense in the CFL, but Ottawa has a tough offense to match. On top of it, Ottawa has a star quarterback in Trevor Harris. In fact Harris scored a playoff-record six passes during Ottawa’s 46-27 win in the East Final. They could just pull another upset. I know it’s tough to pick. Sure, it’s easy to think Calgary’s going to win it, but I thought that in the last two Grey Cups. I think Calgary will do it this time 30-25. Plus the weather will look good for tomorrow. So there you have it. That’s my prediction for tomorrow’s Grey Cup. I knew I had to complete my VIFF Wrap-Up before I gave my Grey Cup prediction. Glad I had the energy to do both. We’ll see who wins tomorrow! It’s Canadian tradition during the last Sunday of November. It’s Grey Cup Sunday. This will mark the 105th contesting of this momentous event. Once again, the final is East vs. West. Interestingly it’s like a rematch of the 2012 Grey Cup. It will be the Calgary Stampeders vs. the Toronto Argonauts. This will be the first time the TD Place Stadium, which was completed in 2014, will host the Grey Cup. This will be the seventh time for the field. It hosted five times before as Lansdowne Park between 1925 and 1988. It hosted once as Frank Clair Stadium in 2004. The older stadium was able to field more spectators in the past. TD Place normally has a capacity of 24,000 but it will expand to 36,000 for the Grey Cup. Shaw Cable is the main sponsor for the event. Freedom Mobile will be sponsoring the halftime show which Shania Twain is slated to perform. For the second straight year, the Calgary Stampeders will represent the West while Toronto will represent the East. It’s easy to predict the Stampeders to win, but don’t forget they were the heavy favorites last year. The Argonauts could pull the same upset the RedBlacks pulled last year. Last year, the Stampeders led the CFL in game stats and entered the Grey Cup as the clear favorites, only to be surprised by the Ottawa RedBlacks in overtime. That’s considered by many to be the biggest upset in Grey Cup history. This year, they find themselves in the same position: the best team in the regular season and the favorites to win. Despite leading the regular season, they did show some weakness in the team such as losing the last three season games. Some say they simply gave it away since they knew they’d be tops anyways. Even their 32-28 win in their West Final against the Edmonton Eskimos would be in question as they had a convincing lead at the start of the final quarter only to give nine points away. Calgary has their strengths and their weaknesses. Their strengths were the most present throughout the season. On top of that, they won both their games against the Toronto Argonauts. I know there are no guarantees in sport, but it’s hard to see Calgary losing the Cup this time around. Calgary had the best performance this CFL season. Toronto’s, on the other hand, was nine wins and nine losses. Actually all but one team from the West had better win-loss stats than Toronto. It’s hard to believe Toronto came out on top of the East. That just goes to show how far ahead most of the West was this season. Many people predicted that the Grey Cup would be an all-West game, but Toronto prevented this from happening by beating the Saskatchewan RoughRiders 25-21 in the East Final. Admit it. We all want the Grey Cup to be an East vs. West affair. Even Toronto’s win in the East Final showed they do have some issues as they almost gave it away thanks to some strong last-quarter play from Saskatchewan. It took a last-minute touchdown from Cody Fajardo to save the Argos. If they look to win against the Stampeders, they can’t give anything away and play like they’ve never played before this year. I feel that Calgary will win the Cup 40-15. They’ve been the best team this season. Plus I feel after the shock and humiliation of losing to the RedBlacks last year, I think they will want this more than ever. Plus I feel winning on the RedBlack’s home field will make this extra-sweet. And there you go. That’s my preview of the 105th Grey Cup. Kickoff is 6pm Ottawa-time Sunday. May the best team win! DISCLAIMER: Seeing all the hits made in the past week to my Super Bowl blog from last year prompted me to publish my pre-Super Bowl blog earlier than expected. Just to let you know my prediction could change in the days leading up to the Bowl. Can you believe this will be the 50th Super Bowl? For some who are old enough to remember the first, it would be hard to believe. Nevertheless this American ritual will be having its 50th on Sunday February 7th at Levi’s Stadium in Santa Clara, California. This year it’s the AFC’s Denver Broncos versus the NFC’s Carolina Panthers. An image of play during the first ever Super Bowl where the Green Bay Packers (in green) beat the Kansas City Chiefs (in white) to become the first ever winners. The Super Bowl actually came out of a league rivalry. The NFL began in 1920 but there was an AFL, the American Football League, that formed in 1960 and it provided some heated rivalry with the NFL. In 1966, a merger was worked out between the NFL and the AFL in which would take full effect in 1970. In the meantime, both league’s top teams would compete in a ‘World Championship’ event. The first Super Bowl which was actually called the ‘First AFL-NFL World Championship Game’ was held on January 15, 1967 in Los Angeles Memorial Coliseum. The NFL team was the Green Bay Packers led by Vince Lombardi. The AFL team was the Kansas City Chiefs. 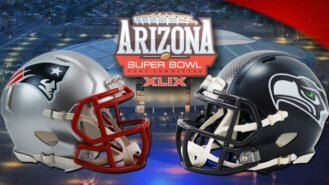 NBC had the rights to broadcast NFL games while CBS had the rights to broadcast AFL games which meant both networks could show the first Super Bowl: the only Super Bowl which was telecasted by two networks at once. There was a halftime show but it wasn’t the show as we know it. The show featured trumpeter Al Hirt with the marching bands of the University of Arizona and Grambling State University followed by the release of 300 pigeons and 10,000 balloons and a flying demonstration by the Bell Rocket Air Men. There was also pregame entertainment and performances after each quarter from the Los Angeles Rammettes. The game was held on a sunny day with 22º Celsius (or 73º Fahrenheit) weather and the game was won by the Packers 35-10. Interesting fact: the players of the winning team the Packers were each paid $15,000 and each player of the Chiefs were paid $7,500. Oh yeah, the cost of airing a 30-second commercial was $42,000. Legendary Packers coach Vince Lombardi is congratulated after his team won the first ever Super Bowl. They’d win again next year. Over time the Super Bowl would grow in both ratings and stature. The Packers’ win in the second Super Bowl, which would be the first Super Bowl by name, would add to the legend of coach Vince Lombardi. Ratings would grow considerably, the cost of airing a 30-second commercial would also grow hugely, marching band performances during the Halftime show would eventually be replaced over time first in 1976 by the ensemble Up With People–the first of four Super Bowl appearances for the ensemble– and would follow with performances by Disney, Michael Jackson, New Kids On The Block, Aerosmith and of course the infamous duo of Janet Jackson and Justin Timberlake. The Super Bowl is now watched over 100 million Americans. In fact last year’s game amassed a record US audience of 114.4 million viewers. It’s even attracted viewers worldwide with a total worldwide audience of 160 million last year. Okay. So what does this year’s Super Bowl have planned? For starters, let’s focus on the stadium. The host venue will be the Levi’s Stadium in Santa Clara, the home venue for the San Francisco 49ers and the newest stadium of the NFL. It took over two years of construction to complete at an expense of $2 billion. It has a regular capacity of 68,500 that can be expanded to 75,000 which will of course happen Super Bowl Sunday. As of press time, it has not been decided who will sing the national anthem. Oh yes, the half-time show. Two months ago it was revealed that ‘multiple acts’ will perform in the show. Remember the alleged financial fiasco last year that led Coldplay and Rihanna from balking out of last year’s show? Well Coldplay agreed back in December to perform this year and be the headlining act. Two headlining acts from past Super Bowls Beyonce from Super Bowl XLVII and Bruno Mars from Super Bowl XLVIII, have been confirmed by Pepsi that they will also be performing. Yes, the Super Bowl ads. Every Super Bowl provides us with memorable ads like Mean Joe Greene’s Coke And A Smile, Apple’s 1984, McDonald’s Jordan/Bird hoops showdown, the Budweiser frogs, Mr. Old Spice and Volkswagen’s Darth Vader ad. Last year is most memorable for a commercial remembered for worse thanks to Nationwide Insurance. That commercial about the boy who died in the car accident sparked a social media outrage because most felt it interfered with their enjoyment. Nationwide responded they did the ad to start conversation. Much to many people’s relief, Nationwide does not appear to back advertising this year. Advertising for a 30-second spot will come at the expense of $5 million. Surprisingly this will be the last year Anheuser-Busch will be advertising multiple ads during the game at a steep discount as part of their contract. This is also the tenth and last year Doritos will have their ‘Crash The Super Bowl’ contest to allow viewers to air their ads. The Pokemon Company will be airing an ad to celebrate their 20th anniversary and QuickBooks is sponsoring a contest to allow ten businesses to air their commercial during the game. Also expect a lot of movie companies to plug their upcoming releases. Now enough of the hype. Let’s get down to the game. One thing about this Super Bowl is that with it being the 50th, it will be known as Super Bowl 50 instead of Super Bowl L. Also with it being the 50th, the winning team will not only hold the Super Bowl all year but will also receive an honorary 18-karat gold-plated 50 weighing 66 lbs. The game will pit the AFC winner Denver Broncos against the NFC winner Carolina Panthers. So how do they fare? The Broncos are no strangers to the Super Bowl. This Super Bowl makes them the fourth team ever to make a record eight Super Bowl appearances. They’ve only won twice, back-to-back in 1997 and 1998. Hey, there was a big long AFC dry-spell which the Broncos broke. This year the Broncos were one of three teams in the AFC including the Cincinnati Bengals and the New England Patriots that had a 12 win-4 loss season this year. The Broncos came out on top because of less points conceded. The season started with a new head coach in Gary Kubiak and John Elway, who helped the Broncos win both Bowls, continuing as general manager. There were 15 departures and more than 30 signings and three trades and eight signed in the NFL draft. The Broncos started their regular season on a stellar note winning their first seven games. Their only losses came against the Indianapolis Colts, Kansas City Chiefs, Oakland Raiders and Pittsburgh Steelers. During the AFC playoffs, they were able to avenge their loss to the Steelers by winning 23-16 and won the championship against the New England Patriots 20-18. This has been an excellent year for the Broncos. No doubt about it Peyton Manning is still on even after a tear in his foot back in November and the defense is the admiration of the league. However I saw the AFC game and I saw both the Broncos and the Patriots commit a lot of fumbles and clumsy errors. I was tempted to think neither of them deserved to qualify for the Bowl. Whatever the situation, the Broncos will have to get their game on for the big day. While the Broncos know how to play in a Super Bowl, the Panthers are almost like rookies. They’ve only played in the Super Bowl once and it was back during Super Bowl XXXVIII where they lost to the Patriots. This year they deliver what could be their best team ever. Heck if there’s one team that could truly call this year their year, it’s the Panthers. Winning their first thirteen games, they set an NFC record for best start of a season and one of only three teams in the NFL’s history to have a 13-0 start. Their only loss of their regular season games came from the Atlanta Falcons. On top of it, this was Cam Newton’s year as he became the first quarterback to throw 30 touchdowns and rush for 10 in a single season. As for playoffs, they faced a stiff challenge from the Seattle Seahawks but won 31-24. However it was their NFC Championship game where they really put on a show by beating the Arizona Cardinals 49-15. If you saw that game against the Cardinals, you could tell that the Panthers were on fire. They committed few errors and delivered team play like no other team. On top of that Cam Newton looked like the player of the year. However they have not played the Denver Broncos so they might know what type of defense they have. As for Panthers’ defense, they faced a setback in Sunday’s game as Thomas Davis broke his arm. Even though he’s undergoing rehab and plans to play in the Super Bowl, it’s still a question if he’ll be healed in time to play. This is not going to be easy. One’s experienced in Super Bowl play while one is more eager than ever. The Broncos have the top defense but the Panthers have the offensive edge. This could be a game where Peyton Manning ads to his legacy or the game where a new legend by the name of Cam Newton arrives. Sure, the Broncos won in clumsy fashion on Sunday while the Panthers were brilliant but that was one day. Super Bowl Sunday could tell a different story. So I will predict that Super Bowl 50 will be won by the Carolina Panthers 25-20. Plus it’s always a delight to see a team win a Super Bowl for the first time ever. And there you have it. My thoughts on Super Bowl 50. Should be a delightful game. 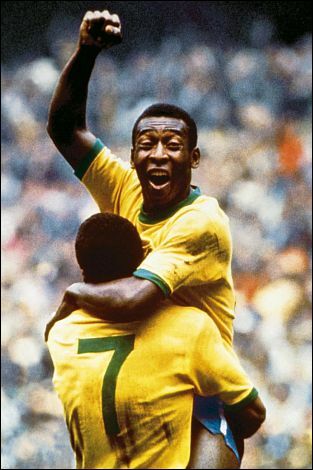 The entertainment both on the field and during commercial time should also be memorable and hopefully very entertaining. Both teams’ fates will be decided Sunday February 7th. This Sunday will feature the 103rd Grey Cup. The best of the CFL have been narrowed down to two teams and it will all take place in Winnipeg’s Investor’s Group Field. Lots of excitement is planning to happen. As well as a tight showdown expected. This will be the fourth time ever the city of Winnipeg has hosted the Grey Cup. In each of the three previous times, it was held in Winnipeg Stadium later to be renamed CanadInns Stadium. This marks the first Grey Cup contested in Winnipeg that will be held in the Investors Group field. Just two and a half years since it hosted its first event, the Field is now hosting its first-ever Grey Cup. This would be a far trek for most Grey Cup fans who used to have an easier time traveling to Winnipeg Stadium as it was located close to the city centre. Investor’s Group Field is located inside the University of Manitoba lands in the south of the city. Quite a longer distance for those staying in downtown hotels or even at hotels close to the airport. The national anthem is to be sung by 26 year-old Quebec singer Bobby Bazini and halftime-show will feature another non-Canadian act this year: Chicago band Fall Out Boy. The game itself will pit the East team of the Ottawa RedBlacks versus the West team of the Edmonton Eskimos. One won their last Grey Cup ten years ago, one will hope to win their city’s first Grey Cup in almost forty years. How do they fare? Ottawa has been one city that has struggled to keep a team as part of the CFL. The Ottawa RoughRiders were formed in 1876, were part of the founding of the CFL back in 1958 until their demise in 1996. They won eight Grey Cup: five since the founding of the CFL. Their last Grey Cup appearance was back in 1981. Ottawa attempted a return to the CFL in 2002 with the Renegades but they only lasted four seasons. That was mostly because of the shotty conditions of the Frank Clair Stadium that was showing its age. A major reconstruction that started in 2008 would pave the way for Ottawa to have a better stadium and a return to the CFL. Last year Ottawa returned back to the CFL with their new team the RedBlacks. As what should be expected, they came in last. This year marked a major turn around as they came in the top of the East Division winning 14 of their 20 games. Interestingly enough, it was coached by Rick Campbell, the same coach that coached them during their debut season last year. Their success is not only due to better coaching from Campbell but also due to a trade of one player and the acquisition of four new players through free agency. Back at this year’s CFL draft in May, they were also able to make six selections from the seven-round draft. Their season actually started off slow as they lost four of their first ten games. their second ten games resulted in only two losses. The only three teams they lost to this year were Edmonton, Toronto and Calgary. By being first in the East, they just had to play the divisional semifinal against the Hamilton Tiger-Cats to qualify for the Cup. The RedBlacks’ last two games of the regular season were against the Ti_cats and they won both 12-6 and 44-28 respectively. In the division final, they repeated their dominance over the Ti-Cats by winning 35-28. Their improvement in a single year has definitely been the talk of the CFL. Even if they don’t win the Cup, their qualification alone is already considered a victory. However of course the RedBlacks will want to win. This is a big question mark because the RedBlacks lost to the Eskimos in both of their regular season games. However both games were held in July and the RedBlacks have changed a lot over the period of four months. Sure, there’s the talk of the Eskimos’ defense but Ottawa’s Henry Burris/Jason Maas offense is what gave Ottawa their success this year. We’llsee if Ottawa can pull the biggest upset of the CFL in a long time. This is Edmonton’s first time in the Grey Cup final since they won back in 2005. They have a total of 13 Grey Cup wins and 11 losses. Many are predicting this to be Grey Cup #14 for them and with good reason. The Eskimos were the top team of the CFL winning sixteen of their twenty games. Their losses came to Toronto, BC, Hamilton and Calgary but none of their losses happened in Commonwealth Stadium this year. The Eskimos have been lucky to win against all eight of the other teams this year in at least one occasion. Qualifying for the Cup was relatively simple as they just had to win the Division Final to qualify. Their rival were the defending Cup champions the Calgary Stampeders whom the Eskimos lost to on one occasion in regular season but won the second occasion. In the final held in Commonwealth Stadium, it was Edmonton’s for the taking with an early big lead which Calgary couldn’t recover from. The final score: Edmonton 45 – Calgary 31. This year’s team of the Eskimos acquired five players in the CFL Draft, traded one before the CFL season began and traded four more during the season’s play. The talk of Edmonton is their defense, the best in the CFL with Chris Jones leading the pack. Even though Ottawa has a better offense, Mike Reilly is capable of pulling off a top offense. However we shouldn’t simply dismiss the Grey Cup as Edmonton’s to take. Sure, the Eskimos beat the RedBlacks in both of their regular season meetings, that was four months ago and the RedBlacks have improved big-time. Even Ottawa dominating possession could be a big boost to their offense and deliver an upset to Edmonton. Not even the best team is unbeatable. It could be possible Ottawa can deliver a surprise. Thinking about it, I will have to predict the Edmonton Eskimos will win 28-18. Sure, Ottawa’s boost from last to Grey Cup finalist may be the talk of the CFL but I think their Cinderella Story will end here. Edmonton is that stronger of a team and they have some of the best performers of the CFL this year to deliver the win. And there you go. That’s my Grey Cup prediction. Maybe relying on sabermetrics is a good thing. Kickoff is 5pm Winnipeg time Sunday. Stay toond! NOTE (Added Jan. 18/2016): Thank you to all the visitors to this post. I didn’t know I’d get so many all of a sudden. To thank you all for hitting this blog, I published my preview of Super Bowl 50 sooner than planned and it’s ready for you here. 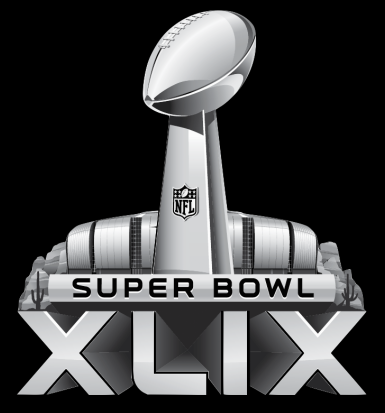 The XLIX Super Bowl was originally planned to be held in Arrowhead Stadium, home of the Kansas City Chiefs. However this was reliant on the installation of a retractable roof dependent on two sales taxes up for vote. That became something the Kansas City Chamber of Commerce and several civic and business groups voted against. It took until 2011 to decide the host site of the University of Phoenix Stadium with an expandable capacity of 72,000. Idina Menzel, or ‘Adela Nazim’ as John Travolta pronounced it, will sing the national anthem. The halftime show was a bit of a struggle to assemble performers together. Their original choices for the show sponsored by Pepsi Cola were Coldplay, Katy Perry and Rihanna. However difficulties arose when league representatives asked their agent if they would provide financial compensation in the form of an up-front fee or a cut from their post-Super Bowl concert revenue. At least that’s what the wall Street Journal tells us, as was the ‘chilly’ response from those involved. And NFL spokeswoman denied this but Katy Perry was the only one of the three who has agreed to perform at the halftime show. She will be headlining the show along with special guests Lenny Kravitz and Missy Elliot. With the Super Bowl comes the tradition of their one-of-a-kind commercialfest. It’s been a buzz for three decades possibly starting with Apple’s 1984 ad. Airing a 30-second commercial will cost $4.5 million: $500,000 more than last year and the year before. Although it’s to be expected for auto advertisers to have much of the air time, there will be a lot more first-time Super Bowl advertisers like Skittles, Carnival Cruise Lines, Loctite, Morphie and Wix.com amongst the ten newbies. Movie previews will be another major advertising commodity as Paramount, Universal, Walt Disney, 20th Century Fox and Lionsgate will be showcasing trailers for movies like Terminator Genesys, Jurassic World, Minions, The Fantastic Four and Tomorrowland. The Patriots began their regular season with a loss and ended with a loss. In between was an excellent season consisting of a total of twelve wins and four losses. That put them on par with the Denver Broncos on game stats but came out on top of the AFC because of point differentials. However they didn’t have as many decisive wins as the Seahawks did. Their playoffs started with a close 35-31 win over the Baltimore Ravens but their AFC Championship was a very decisive 45-7: their most decisive victory all year. That was enough to send a message to the Seahawks that they could just block their path to being repeat Super Bowl champions. The Hawks were last year’s winners with the most decisive win since 1993. As for 2014, like the Patriots, the Seahawks had twelve wins and four losses. So did two other teams in the NFC but the Hawks came out on top because of point differentials, just like the Patriots. Their wins in the regular season have had wider margins than that of the Patriots. However things were different for the Hawks during playoff games. They had a 31-17 win over the Carolina Panthers for the Divisional championships and a 28-22 win in overtime over the Packers for the NFC Championships. That could put the Seahawks consistency in question and have people wondering if their luck. I’ll admit this is hard. It’s not like the CFL where all the teams play each other at least twice during the regular season. This is the NFL that’s loaded with more teams and is most often the case that the two Super Bowl contenders never met during the season, just like this year. This is often the case where I would have to do a lot of reading up to decide. One thing to take note of is that both teams have had some key losses of players. Seahawks have lost Percy Harvin to trades and both Brandon Mebane and Jordan Hill to injury. Their replacement players don’t have the same defensive tackle and that could hurt if the Patriots are strong in the offense. The Patriots lost Jerod Mayo and Stevan Ridley to injury but have backup players can fill their shoes. On top of it, LeGarrette Blount has returned to the Patriots, giving the team a much-needed boost. I will have to give the win to the New England Patriots but I believe it will be a tight game that could result in low scoring. I predict the score to be 15-12. So there you have it. My thoughts on tomorrow’s Super Bowl. The champion will be decided tomorrow night. Stay toond. 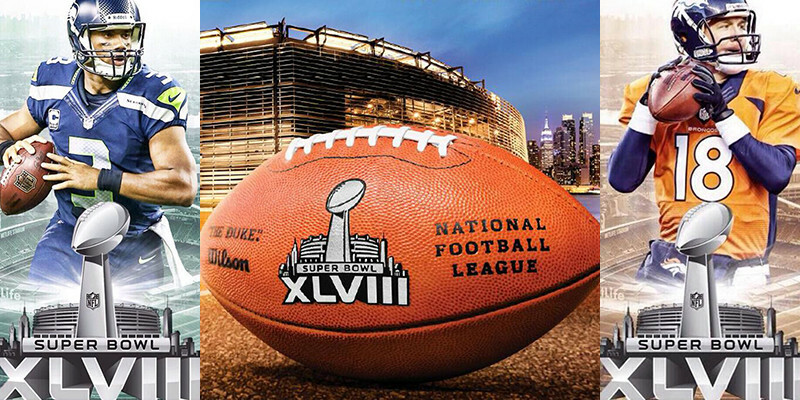 Super Bowl XLVIII is happening on Sunday the 2nd. It’s provided for some interesting humor but it will make for some serious play between two teams that night. It’s a funny irony that this year’s Super Bowl is happening all the way on the East Coast but the two teams are way far west. It’s also a funny irony as posted out on some of my friend’s Facebook posts that both team come from states that legalized marijuana. Hence names like the Weed Bowl, the Bud Bowl and the Super Bong have come about. Without a doubt the Super Bowl is the biggest one-day hype-fest in the USA. This will be the first Super Bowl since Super Bowl X to be played outdoors on artificial turf. MetLife stadium in East Rutherford has a capacity of 82,500: the biggest in the NFL. A 30-second commercial costs $4 million and all ad spots were sold out two months ago. Fox will broadcast to the United States with CTV airing Fox’s broadcast to Canada. 45 countries will also have their own broadcast. Marching bands from Rutgers and Syracuse University are expected to open the pregame show. Queen Latifah is to follow singing ‘America The Beautiful’ with the New Jersey Youth Chorus. Renee Fleming will become the first opera singer ever to sing the ‘Star-Spangled Banner’ at the Super Bowl. There almost wasn’t half-time show since this is to be a Super Bowl held in cold weather and there was fear of blizzard conditions. Nevertheless Fox and the NFL said there will be a halftime show and they’re confident it will go well. Actually they shouldn’t worry since the hourly weather forecast for the game hours predict calm and partly cloudy skies with temperatures starting at 7 Celsius (45 Fahrenheit) and dropping to 4 (39). Bruno Mars and the Red Hot Chili Peppers are scheduled performers. Denver have won the Super Bowl twice back in 1997 & 1998 during their ‘Elway Era.’ The Broncos ended the last season losing the Super Bowl to the Baltimore Ravens. They hoped to win the Super Bowl this year but had a whack of obstacles to overcome. Firstly during the offseason, All-Line probacker Von Miller was suspended six games for violating the NFL’s drug policy. Several offensive linemen also sat out the beginning of the season with injuries. There were four departures and four new additions. Head Coach John Fox had a health scare and had heart surgery which caused him to miss four games and Jack Del Rio taking over in his absence. The Broncos actually started slowly in exhibition play as they only won two of their four exhibition games. When the regular season officially began, it was another story. The team did excellently as they won thirteen of their sixteen regular season games to come out on top of the AFC. Along the way the team set new NFL records for most total points (606) and total touchdowns in a single season. And Peyton Manning set new records for passing touchdowns and passing yardage. Can you blame Sports Illustrated for naming him 2013’s Sportsman Of The Year? The playoffs were also smooth sailing as they won the Divisional Championship against the San Diego chargers 24-17 and the Conference Championship against the New England Patriot 26-16. It’s good to see after all those obstacles, they finally made it to East Rutherford with the Super Bowl game against the Seahawks being their last hurdle remaining. This is their second time ever to the Super Bowl. Their first time ever was eight years ago where they faced the Pittsburgh Steelers and lost 21-10. Even before the season began, one NFL.com expert ranked the Seahawks as the most powerful team in the NFL. Nevertheless it was up to them to prove it. Unlike the Broncos, the Seahawks didn’t have the discomfort of shockers, frequent trades and suspensions. Seattle did acquire ten new players: five through trades. Seattle won all four of their exhibition games including one against the Broncos. The regular season was excellent for them as they won thirteen of their sixteen games. The playoffs were also great for the Seahawks as they won their Divisional Championship against the New Orleans Saints 23-15 and the Conference Championship against the San Francisco 49ers 23-17. This is especially great for them because many at the beginning of the season gave San Fran better odds than Seattle to win the Super Bowl. Normally I’m better at making predictions for the CFL Grey Cup than I am for the Super Bowl. The reason is all CFL teams play against all the other teams at least twice in the regular season and it’s easier to make a prediction with the head-to-head data. It’s not the case in the NFL as if each team were to have at least one game against every other NFL team, all teams would have to play a total of 31 games. Wow, could they handle it? This is not an easy prediction for anyone. Even Wikipedia states the favorite for this match to the Broncos by 2: the tightest favoring in 32 years.The two Super Bowl teams don’t always meet during the regular season each year. The Seahawks did play the Broncos and won 40-10 but it was an exhibition game back in August where Seattle was hosting. A lot can change in those five months since. Both teams finished on top of their Conference with 13 wins and three losses. Both teams played the 49ers at least once in the season and had a loss to them. Denver may have set a scoring record this season but Seattle had the better defense allowing only 231 points scored on them. Okay, enough of the saber metrics. I predict that the winner will be the Denver Broncos. I won’t hazard a guess on the final score but I believe it will be a close game with Denver’s win being by five points. This would make it the third win for the Broncos and the second Super Bowl win for Payton Manning. So there you go. My preview and my prediction for Super Bowl XLVIII. Show begins tonight at 6:30 EST in MetLife Stadium. May the best team win! On Sunday November 24th, the 101st Grey Cup will be contested at Mosaic Stadium at Regina’s Taylor Field. The game promises excitement as it will pit the Saskatchewan RoughRiders against the Hamilton Tiger Cats. But what’s in store for this year? This year’s Grey Cup is not a milestone Grey Cup like last year. And unfortunately for a Vancouverite like myself, BC won’t be playing like two years ago. Nevertheless the game promises excitement. The defending champions will not be returning. Neither will the teams that finished at the top of their division during the regular season be playing. Instead it’s the two underdogs from both divisions. The game also brings a return to Mosaic Stadium for the third and last time. Mosaic Stadium has previously hosted in 1995 and 2003, back when it was still called Taylor Field. Normally it seats about 33,000 people but it’s expandable to 55,000. As I said earlier, this will be the last year Mosaic Stadium will host the Grey Cup. Back in July of last year, it was decided that a new staudium was needed for Regina and its Roughriders. The new open-air stadium is expected to be completed by 2017 with an estimated cost of $280 million and is planned for Evraz Place. This will make it a break with a 107-year tradition with Taylor Field being home of the Roughriders. Being the host city of a Grey Cup has been a lucky thing for its team for the third year in a row. Two years ago when Vancouver hosted, the Lions qualified and won. Last year when the Skydome was hosting, the Argonauts qualified and won. This year luck is on the side of the RoughRiders. The regular season went well with 11 wins and 7 losses, placing them second in the West just behind Calgary at the end of the season. They were able to score a win against every team they played. Even leading into the playoffs, the RoughRiders had the advantage as both teams they faced–the Lions and the Stampeders– they’ve had at least one win against. Their play experience payed off as they beat the Lions 29-25 and beat the Stampeders 35-13. They came in as a team with small expectations and they now find themselves playing in the Grey Cup. This year was adifficult year for the TiCats as they were not only no longer playing in the Ivor Wynne Stadium but were playing in the Alumni Stadium in Guelph as they were awaiting their new home stadium. They actually started their 2013 season off slow winning only one of their first five games. Almost echoing the BC Lions in 2011. However head coach Kent Austin was able to turn things around and they’ve won nine of their last thirteen regular season games. Like the RoughRiders, they too had at least one regular season win against the playoff opponents they faced and they materialized too beating the Alouettes 19-16 in overtime and the defending Grey Cup champion Argonauts 36-24. Coming to the game, my prediction is pretty much solid. I predict the Roughriders to win scoring double whatever Hamilton gets. It’s no doubt of the two teams, Saskatchewan has showed the most muscle this year. They have the strongest offence in the CFL and a very strong defence too. On top of it, Saskatchewan has beaten the TiCats both times they played them this season. It’s not to say the TiCats can pull an upset. Underrated teams have come from behind in the past. Plus keep in mind the losses to Saskatchewan were part of the first five games where the TiCats struggled. We have a whole new set of TiCats since so Saskatchewan should take note if they want to win. I still stand by my prediction that the RoughRiders will win but that doesn’t mean they’re not vulnerable. So there you go. 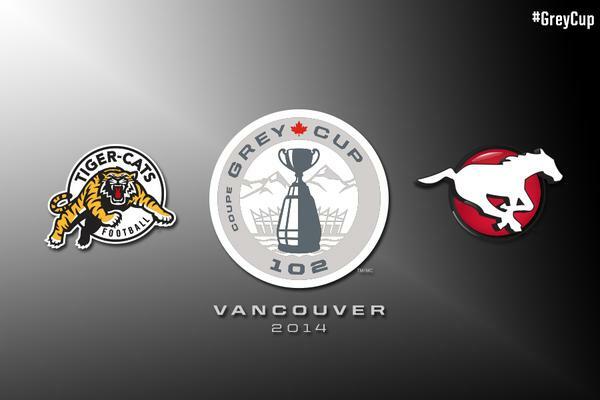 The preview for the 101st Grey Cup. Kickoff is slated for 6:00pm EST which would actually be 5:00pm in Regina. May the best team win! 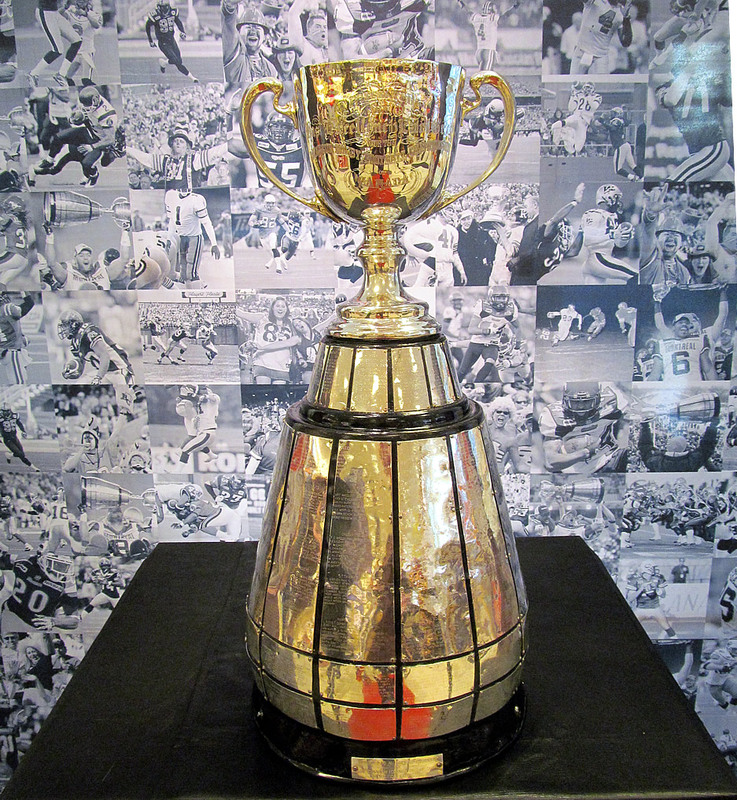 This Sunday will have the 100th contesting of the Grey Cup, the most prestigious prize of Canadian football. It will be an exciting time not just for fans of Canadian football but fans of the Cup itself. I’ve already talked about the Grey Cup partially back in a post from last year but I’ll elaborate more here. The Grey Cup has more history than the Super Bowl: 58 more years to be exact. Before there was a CFL, the Grey Cup was open to Canadian football teams from all sorts of leagues. The very first Grey Cup was played in 1909 by the University of Toronto Varsity Blues and the Toronto Parkdale Canoe Club at Toronto’s Rosedale Field to a crowd of just over 3,800. Yeah, that small. The winner was the Blues 26-6. From 1909 to 1915 the Grey Cup was often a contest between Toronto and Hamilton teams. World War I led to the postponement of four straight Grey Cups until it was revised back in 1920. Those would be the only years the Grey Cup was not contested. It wasn’t until 1921 that the Grey Cup stopped being a contest strictly of Ontario teams when the Edmonton Eskimos qualified for the final. It would pave the way for teams from Regina and Winnipeg to qualify for the final. 1931 was a history-maker for the Grey Cup as it was contested in Montreal’s Molson Stadium: the first time ever the Grey Cup was contested outside of Ontario. Just as historic was the match as it featured two teams outside of Ontario: the Regina Roughriders and the Montreal AAA Winged Wheelers. Montreal won 22-0, making them the first team outside of Ontario to win the Grey Cup. The first team from Western Canada to win the Grey Cup was the Winnipeg ‘Pegs back in 1935. While the Grey Cup was cancelled during World War I, it was not cancelled during World War II where teams from branches of Canada’s armed forces qualified for the finals. The Grey Cup’s popularity grew after World War II as 1948 saw the first Grey Cup with a crowd of 20,000 in attendance for the first time. Then the Canadian Football Council (CFC) became the Canadian Football League (CFL) in 1958 which would propel the Grey Cup to further popularity. Since then, Grey Cup Sunday has become a permanent fixture in Canadiana with the top team from the East competing against the top team from the West. An average crowd of over 50,000 gather to watch the big final in the stadium and millions more watch from their house. 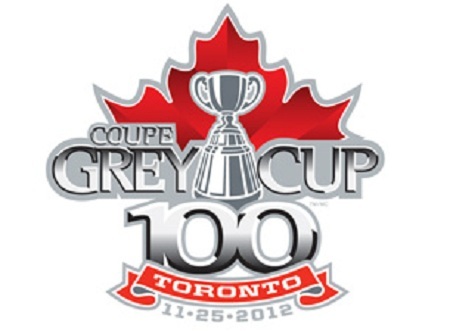 This year marks the 100th contesting of the Grey Cup. To celebrate, there has been a Grey Cup 100 Train Tour with the Cup touring various cities of Canada with three CFL themed railway coaches: a museum car, a railcar with contemporary memorabilia, and a car containing the Grey Cup itself. It started September 9th in an official ceremony in Vancouver, traveled across Canada for ten weeks visiting various Canadian cities including all cities with CFL teams, and ended in Toronto on November 17th. The 100th Grey Cup has also been celebrated through Canada Post. Canada Post has issued commemorative stamps of all the teams and the Cup itself. It has also issued 8*10 pictures of the various Grey Cup stamps and many other gift sets. Rosedale Field–which has had its spectator seats removed years ago and now functions as a field for festivals and community events as part of Rosedale Park– was commemorated during the celebrations in Toronto with a commemorative plaque from Heritage Toronto for its role as host field for the first-ever Grey Cup. As for this year’s Cup, the event will be held at the Rogers Centre, formerly SkyDome, tomorrow night. This is the 46th time Toronto will host it. There will be a fan parade from Varsity Stadium to Rogers Centre. 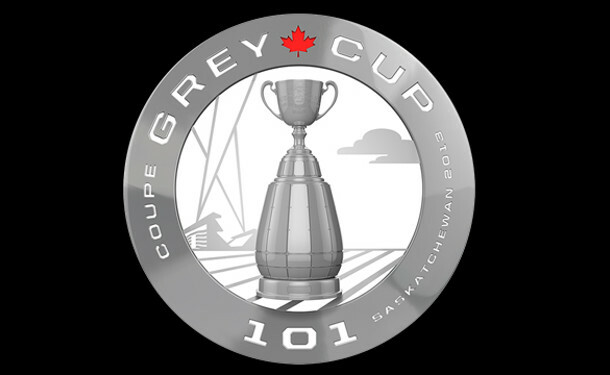 The coin toss of the game will consist of the first 100th commemorative Grey Cup coin struck by the Royal Canadian Mint executed by Governor General David Johnston. There will be various musical acts for both the pre-game show and the halftime show. Pre-game show acts include the Guess Who’s Burton Cummings and country singer Johnny Reid. Halftime show performers include Justin Bieber, Carly Rae Jepsen, Marianas Trench and Gordon Lightfoot. EAST – Toronto Argonauts: The Argonauts have not looked like the team most likely to win the berth for the East. They have both won and lost nine games during regular season play and it was looked to be Montreal that would represent the East. Nevertheless Toronto has played brilliantly in their Division playoff games firstly against the Eskimos 42-26 and recently against the Allouettes 27-20. Toronto has an advantage leading into the Cup having won both its regular season games against Calgary. Their veteran quarterback Ricky Ray has been consistently strong and looks strong leading into tomorrow’s game. Nevertheless Toronto knows Calgary has a strong defense and they won’t overlook it for tomorrow’s game. Kevin Huntley even admitted their game against Saskatchewan, which I will talk about later, sent them the message. Nevertheless they have been taking note on Calgary’s strengths and weaknesses. They know that Kevin Glenn and Jon Cornish are the ones they have to maintain if they want to win tomorrow. Will they win it again or will it be a change in the game plan? WEST – Calgary Stampeders: Like Toronto, Calgary was second in their division leading up to the playoffs. The Stampeders have has a better season with twelve wins and six losses. They too have been brilliant in the playoff games winning against Saskatchewan 36-30 and BC 34-29. Their consistency has been their biggest strength. They’re not flashy showmen, just a strong team. One important statistic to remember is that Calgary lost both of its regular season games against Toronto. Nevertheless they showed they can come from behind by winning a game against Saskatchewan where they were originally trailing by 17 points with six minutes to go. Quarterback Kevin Glenn has been getting better and stronger as of recent. Their other strong players have played well. Nevertheless they know the Argo’s star quarterback Ricky Ray has returned from surgery back in October and is playing strong. Also the Stamps know the Argos have been good at holding Cornish back. Tomorrow could go either way for the Stamps. So what’s my say? This is a hard one to call. both have their strengths and weaknesses. Both have shown they know how to perform when it matters. I have to give the win to Toronto. It’s not just about their play against Calgary this year but also balancing things out. Kevin Glenn has become a stronger quarterback but Ricky Ray has returned in a strong way. Also Toronto knows how to hold down Cornish and they have a special edge with Chad Owens winning the CFL award for Most Outstanding Player. So I have to hand it to Toronto. They have the edge but it’s going to be a tight game. Anyways everything will be decided tomorrow in Rogers Centre and it promises to be a great game and a great show. In the end, one city will be left smiling. So may the best team win!